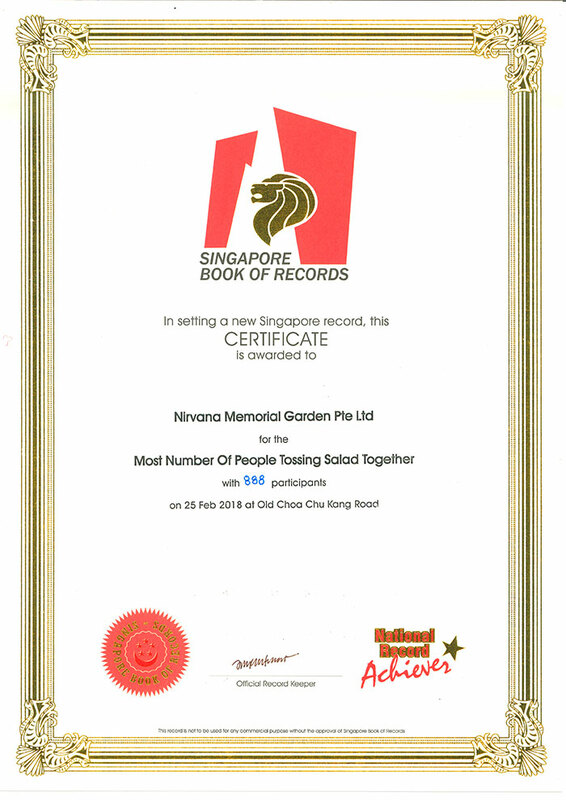 Nirvana Memorial Garden aspires to keep improving through constant innovation as we raise our service standards through new offerings. 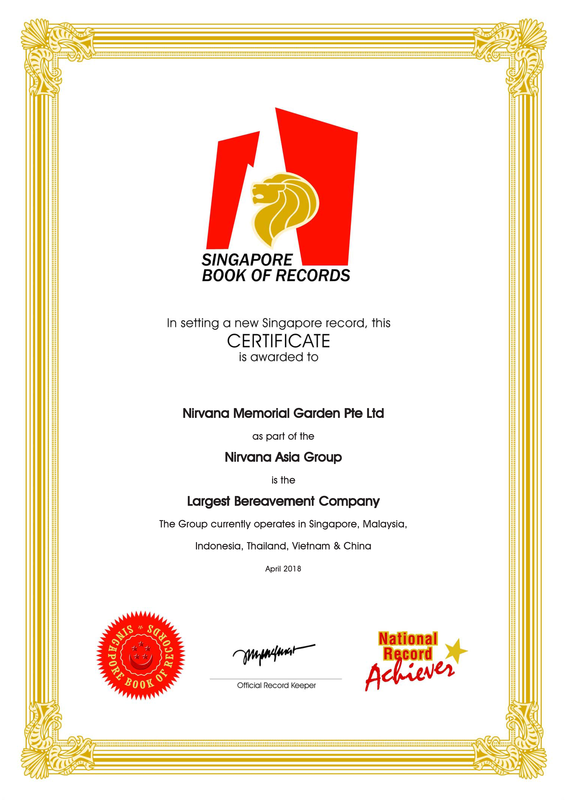 The professional team of Nirvana Memorial Garden has earned the goodwill as a role model for their diligence and dedication. 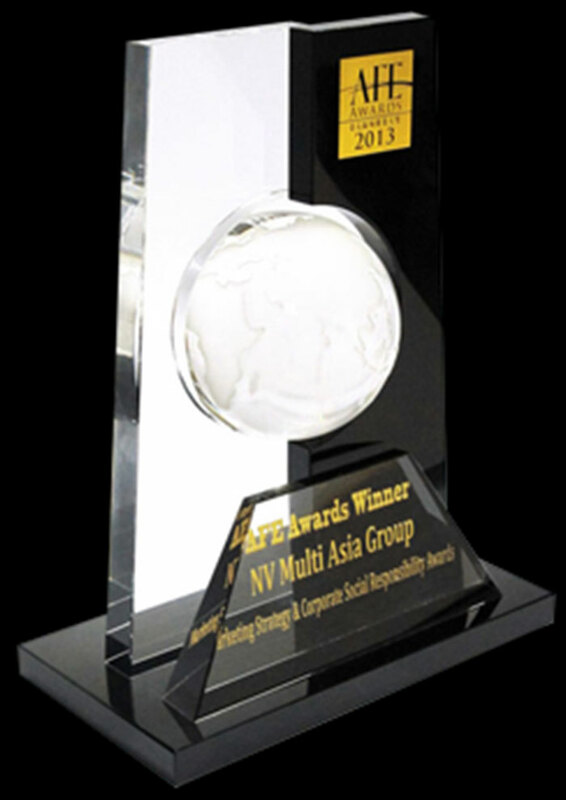 Their tireless efforts paid off handsomely as affirmed by the accolades won by the group. 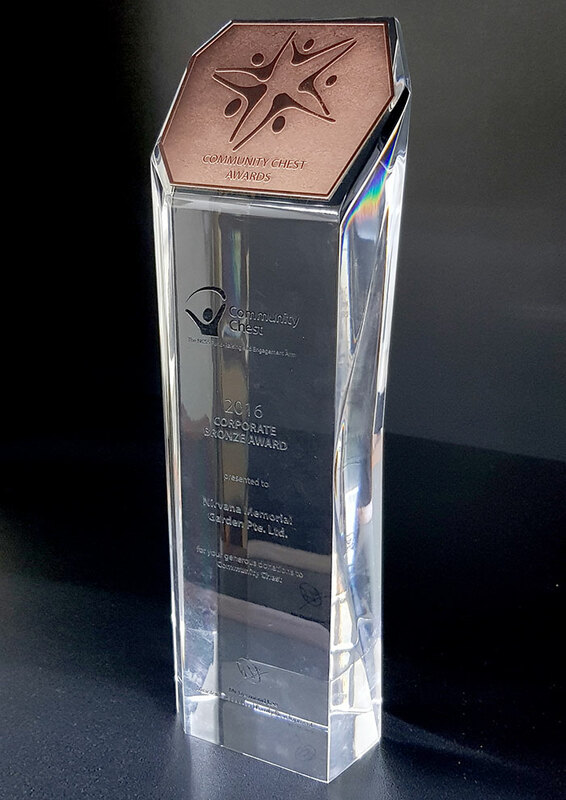 Such recognition is the drive that keeps us growing from strength to strength as we expand our wings. 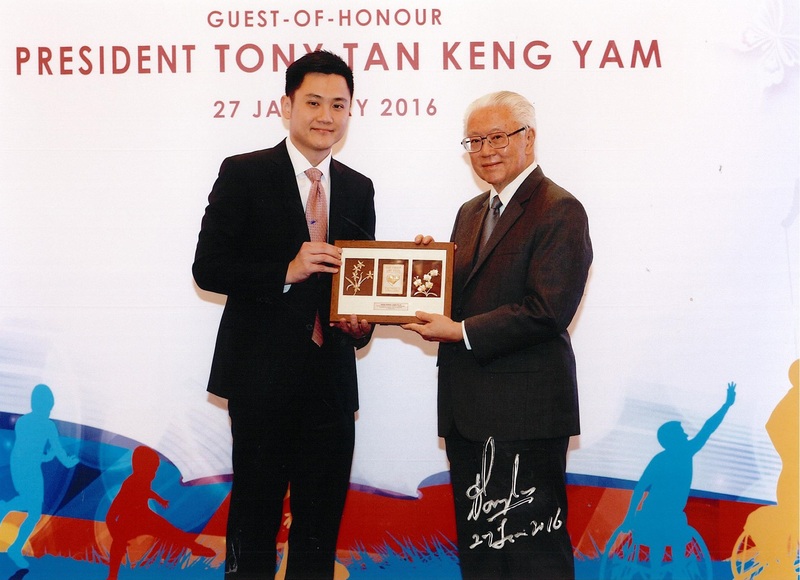 Token of Appreciation by President Tony Tan Keng Yam for organization’s generosity on President’s Challenge 2015. Token of Appreciation by President Tony Tan Keng Yam for organization’s generosity on President’s Challenge 2016. 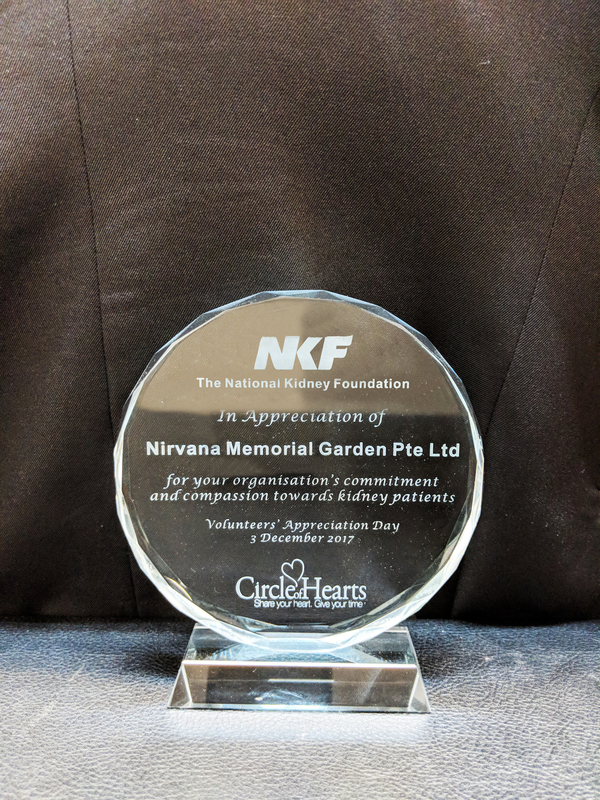 Token of Appreciation by National Kidney Foundation (NKF Singapore) for organization’s commitment and compassion towards kidney patients on Volunteers Appreciation Day 2017. Certificate of Appreciation by Shan you for organization’s strong support towards The Elephant in Our Community. 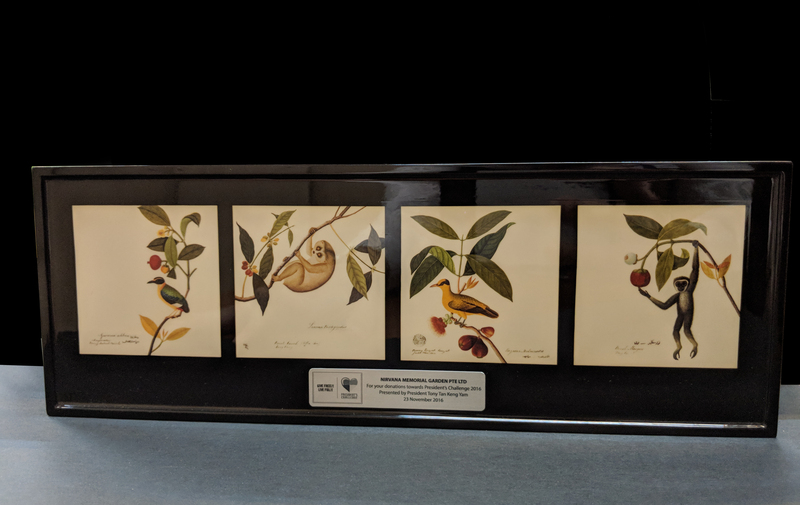 Certificate of Appreciation by Kwong Wai Shiu Hospital for organization’s generous support towards elderly on Community Care Day 2018. Certificate of Appreciation by Shan you for organization’s generosity & strong support towards A Getai Date with Mum Charity Night. Certificate of Appreciation by National Kidney Foundation (NKF Singapore) for organization’s support for NKF’s Vesak Day Charity Drive.